A lush lawn provides the perfect first impression for your home. Unfortunately, most people don’t have the time, equipment or expertise to maintain pristine grass. When you choose Green Stuff for your home lawn care needs, our professionals devote themselves to your outdoor setting, ensuring that every blade of grass adds to the appeal of your property. Our residential lawn care in the Minneapolis area starts with a passion for attractive lawns. Every member of our team takes pride in the great-looking lawns we help grow and maintain for our customers. Whether we’re fertilizing, aerating, dethatching or mowing, you can expect exceptional attention to detail in our services. While a great-looking lawn sometimes takes time to develop, Green Stuff customers can be certain every measure will be taken to rejuvenate the look of their lawn. How Do We Grow Impressive Residential Lawns? Want a beautiful lawn without using harmful chemicals? Get the lush, green turf you want and create a healthier outdoor space for your family with our organic lawn care services. Keep your lawn in check — regardless of how much rain we get this season. If you live in the Minneapolis area, our full-service lawn maintenance will keep your yard looking pristine all year. Get the lush, green lawn you’ve always wanted with the specialized lawn fertilization treatments that give your lawn the exact nutrients it needs to flourish. Water your lawn without dragging out the hose with a customized sprinkler system. Our systems are tailored to your unique grass and soil types for optimum hydration. When is the Best Time to Get Home Lawn Care? Although these guidelines provide a framework for lawn care throughout the year, there is never a bad time to move forward with our detail-oriented lawn care services. We can create a plan that will serve as a roadmap for the future of your lawn, accounting for the seasonal variations that will affect its growth. 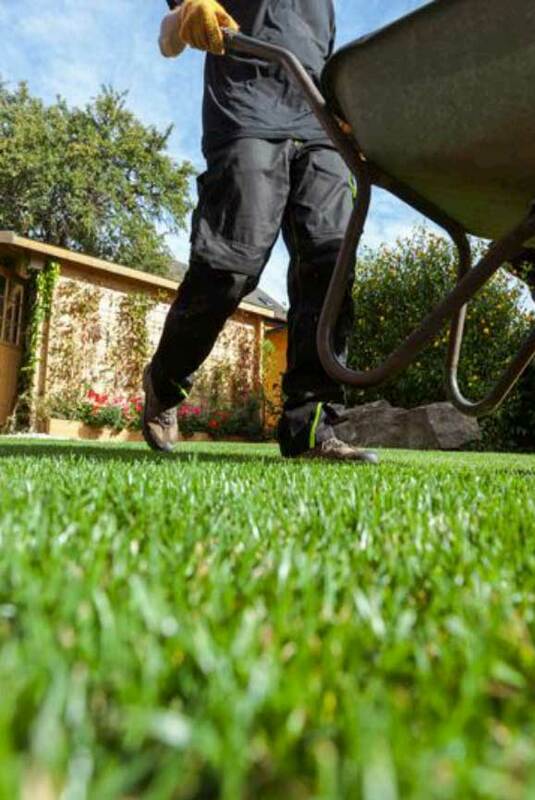 If you’re looking to transform your lawn, find out how we can help you get started today. How Can Green Stuff Help Me Get the Most Out of My Lawn? When you’re looking for residential lawn care in the Minneapolis-St. Paul area, you have plenty of options. At Green Stuff, our goal is to set ourselves apart with exceptional results for our customers. We go the extra mile to ensure your lawn looks just the way you want. Discover how Green Stuff can provide you with the lawn upgrade you need. Reach out to our friendly professionals now to get started.